ASTM A 123/A 123M: Standard Specification for Zinc (Hot-Dip Galvanized) Coatings on Iron and Steel Products. 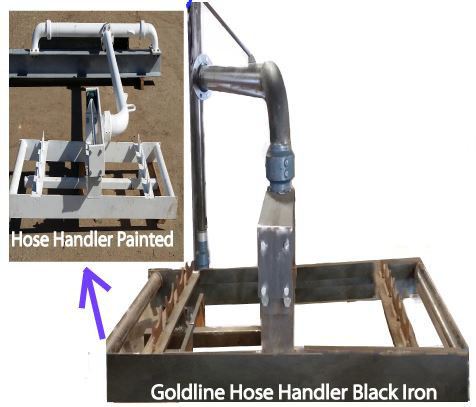 Goldline International offers our products in black iron like this Craddle Style Hose Handler or Hot Dipped Galvanized. "The time for first maintenance of steel with (HDG) Hot Dipped Galvanizing is often years or decades. That distance is in time is measured by the thickness of the zinc coating in the clean galvanizing process. This chart below shows 5.0 galvanizing zinc coating thickness can produce up to 98 years of very low finish maintenance." 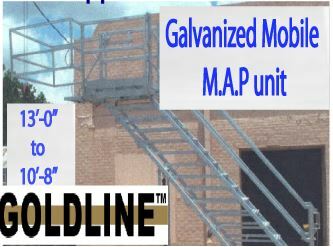 Goldline highly recommends Hot-dipped Galvanized. Galvanizing is affected by caustic and acidic enviroments not considered by this chart! This information is not inclusive of all environments.